Welcome to the new, digital version of the Temple Emanu-El newsletter. If you or someone you know wishes to receive a printed version, please contact the office at 595-7521. We hope you will enjoy our revised approach and welcome your feedback. Please send comments to admin@shaloha.com. Recently, the Temple Connection was honored to interview Rabbi Ken Aronowitz about the future of Temple Emanu-El. We are grateful to the rabbi for taking the time to share his thoughts. Q. You recently attended the Union of Reform Judaism’s biennial meeting. Was there a particularly meaningful takeaway for you? A. One workshop had special significance for me. It was about crafting a meaningful, overarching mission statement for our congregation. Why does or should Temple Emanu-El exist? What is the purpose of our existence? What are the core tenets that our temple rests on, the key values and beliefs that will shape everything we do? A mission statement will give us a vision of what things look like when we are living true to our purpose. Q. You’ve also spoken often about the importance of community. Does that mesh with the process of creating a mission statement? A. I’m calling it The Why Project. And yes, I think building a stronger community and crafting a mission statement goes hand-in-hand. When people are connected in a meaningful way, our spirituality comes out. Study, prayer, services are all very important. Being in a spiritual relationship with other members of the community creates a living shema. It’s not just our bond with God, but to each other, with the spirit within each of us. The process of creating a mission statement that represents everyone in the Temple community should bring us all into closer kinship. In turn, once completed, having that touchstone will reinforce the relationships and provide guidance about what we should and should not take on. Q. When you say “community” do you mean just Temple Emanu-El or something broader? A. I think we need to become clear on our own “why”, but at the same time, we need to be thinking about the larger Jewish community on Oahu. For example, the Chavra Kadisha project that is now underway to teach Jewish burial traditions extends beyond the Temple. It involves the whole Jewish community, including Sof Ma’arav, Chabad, and Aloha Chapel . And it is a hard topic. We’re talking about death and dying, losing family members and friends. But look at what can come out of that, the connections to be made out of something very sad, truly a light in the darkness. Q. What is your vision for implementing the Why Project? A. I want to be certain that everyone understands their ideas are not only important, but essential. If we create a mission statement for the Temple and some people have not participated, then not only are we poorer intellectually, but spiritually as well. My intention is to solicit ideas from everyone about why we exist and why we should exist in order to allow us all to know what is meaningful. Without the input, there is the possibility of too many disconnects. It is my hope that the Why Project will close the gap between Temple Emanu-El and its members. Q. What do you hope will come about as a result of the Why Project? A. What is in the hearts and minds of our members? I don’t feel we know our various groups well enough to develop enough truly meaningful programs. Like most congregations we have the programs we do, but are they the right ones? Do they provide meaning? Is there something for everyone? We have a lot of leeway as a Reform congregation. What I love about Reform is how we study ancient sources and create something meaningful for our times, how we create new ways of “doing Jewish”. I want us to do things because they are in keeping with why we exist, what our purpose is. It means we may need to lose things, change things, add things and not keep doing things only because we have always done them. Q. Last question: what is your timeline for the Why Project? A. First of all, let me say that although we are the only URJ congregation in the Pacific, there are a whole lot of excellent resources they have that we can take advantage of. We don’t need to reinvent the wheel when many other congregations have gone through the mission statement process. I hope we are able to link our members and lay leaders to URJ. I would like to get the Why Project going in March and craft our mission statement in June or July before the High Holy Days come, so we can have something concrete to announce during the holidays and get rolling. Recently, the Temple Connection was honored to interview Board of Trustees President, Marcia Klompus, about the future of Temple Emanu-El. We are grateful to Marcia for taking the time to share her thoughts with the congregation. Q. How long have you been board president and what is your vision? A. My term began in August of 2017. I wanted to help in any way I could to make sure Temple has great facilities and to make sure it remains sustainable and successful. It had—and has—a wonderful board of trustees with many business people taking part in decisions. We all want to grow the Jewish Experience Center, which is educating our children about Judaism, and the Pre-School Gan as well. Membership is continuing to increase, and that is a large part of our mission. It is rewarding to have a congregation that others find warm and welcoming. Q. What are the major projects that the board is working on? In May we will be hosting a Broadway Show, “Forbidden Broadway,” featuring Shari Lynn and Kip Wilborn along with other well-known local stars. You can visit www.shaloha.com to learn more about the show and order your tickets to this exciting fund raiser for our Temple. Q. How is the Honolulu Jewish Film Festival opening night Dinner/Movie going to work? A. You get a delicious deli dinner, free valet parking, a ticket to the movie at the Doris Duke, plus a $10 gift certificate to Giovanni Pastrami for future use, all for just $65. The food is excellent and the movie is a fantastic story. It’s On The Map, a story about an Israeli basketball team in the Seventies. Dani Menkin, the writer who is also the producer and director, will be joining us. The opening night deli dinner is on March 3 from 4:30-6:30. The movie begins at 7:30 at the Doris Duke. Kudos to Kathy Krammer and Sally Morgan, who are the co-chairs of the Honolulu Jewish Film Festival, for guiding the committee over the past eight months and producing such excellent results. Please make your reservations now, as seating is limited and I know it will be an event you won’t want to miss! For reservations, visit www.shaloha.com. Q. What else can you share with us about where the Temple is going? A. I would say, if someone is reading this and they haven’t been to the Temple’s Friday night services, they should attend at least once. I bet they will get hooked. Rabbi’s services are uplifting and joyful. Seeing and meeting friends, both new and old, will round out the evening, not to mention a delicious dessert Oneg and every 4th Friday, a family dinner. Also, we are working on establishing a committee that will work on improving the entrance and grounds of the Temple for years to come. If you like to garden or have bushes and plants at home or office that are no longer wanted or needed, think about bringing them to the Temple for re-planting. Q. That brings up our last question. What are some of the opportunities for members to be involved? A. There is an opportunity to volunteer to be the Rabbi’s assistant if you have the organizational skills and are available several days a week. Of course there is an interview process. We also welcome members to assist with the set up and break down of our Onegs on Friday evenings. Members can help with similar tasks for our bar and bat mitzvahs. We will be having 8-10 of these blessings at Temple E this coming year. I invite people to be on our volunteer contact list and indicate what areas they would be interested in assisting. The Temple can only be as great as its volunteers. Speaking of which, we have a membership team—established by Sandra Armstrong—that welcomes guests before, during, and after services. The volunteers also sit with guests to help them learn how enjoyable it is to be a member of our warm and friendly Jewish community and Temple. Lastly, I would be remiss if I didn’t give a shout out to Richard Field, our Executive Director, and Stephanie DeMello, our Office Manager. They make a huge positive impact in our Temple operations. NOTE: If you are interested in volunteering or just want to find out more about it, please email hitemplesisterhood@gmail.com or call the office. The Honolulu Jewish Film Festival is in its 16th year. That is quite a milestone and we are excited about the upcoming movies to be shown at the Doris Duke Theatre at the Honolulu Museum of Art. Our committee has implemented a new model this year in order to keep us moving forward. There is a website specific to the Festival (www.honolulujewishfilmfest.org) along with a refreshed Facebook page and additional sponsorship opportunities. This year we are proud to have partnered with the Honolulu Star Advertiser to publish our program as an insert in their paper on Wednesday, February 28th, 2018. Included in the tabloid will be the listing of all of the HJFF films, links to view the trailers, acknowledgements of our wonderful sponsors and ticketing information. As in years past, we are also accepting general donations to help underwrite festival expenses. Donations of $60 or more will receive complimentary passes to the film of their choice. All donations are gratefully accepted! Opening night is Saturday, March 3, and will feature our first Opening Night “Dinner and Movie” package. This event package includes dinner at Giovanni Pastrami, a ticket to the evening’s featured film On the Map and more. We’d like to thank our Opening Night hosts Giovanni Pastrami for generously reserving the whole restaurant exclusively for our dinner, as well as choosing delicious, New York style deli delights for our attendees to enjoy. Reserve early so you don’t miss out! The committee has worked diligently to complete the selection of movies to be shown at our upcoming Festival, including celebrating the anniversaries of the classic films Crossing Delancy and Yentl. Along with our featured films, we have a number of guest speakers at selected screenings guaranteed to take our viewers’ time at the movies to the next level! We’d like to send a big mahalo to the members of our dedicated screening and fundraising committees, and to all of you who will be supporting us this year. On January 19, 20, 21, Rick Light, Director of the Chevrah Kadisha of Northern New Mexico and Senior Educator at the Kavod V’Nichum Gamliel Institute, honored our Jewish community by leading a focused discussion and presentation hosted by Temple Emanu-El on Creating a Caring Community with the Chevrah Kadisha. Rick's explanations were perfectly pitched--I was a little concerned that a few of my students might get spooked by the subject--however he made it relatable and accessible to them all. Listening to Rick's presentation about Chevra Kadisha was illuminating for the B'nei Mitzvah class. Not only did they get a chance to understand this less-practiced yet highly meaningful ritual, but also to learn the ways in which they can contribute as newly-minted, young Jewish adults. Our time with Rick spurred a lively discussion with the kids. When asked how they felt about the presentation, one student answered, "terrified!" I thought he felt this way because of the subject matter. Instead he made this comment because he was concerned that important rituals that define us as Jewish people could easily slip away unless we make a concerted effort to revitalize and practice them. Our conversation quickly turned to the missile mishap and false alarm. It was evident that the students were still processing the event and made a connection between Chevra Kadisha and the outcomes of a real missile alert. They saw this ritual as one of respect, honor and remembrance instead of something to be feared or avoided. Ultimately our discussion ended on a note of hopefulness and purpose--as we think about death, a madrich pointed out, it is our duty to live life fully and with meaning. It's the legacy we leave. Q. Rick, Thank you for spending 3 days in our Honolulu Jewish community and for leading insightful discussions all day Sunday, January 21. I’d like to ask some simple questions so Temple members who were not present for your weekend teaching and learning can get a sense of the intention and focus of your visit. How was the experience for you? A. I found it to be very exciting. Your community is amazing and very engaged. We had more than 30 people show up. Everyone was very enthusiastic and they stayed the entire day. They asked intelligent questions, and I look forward to following up with the community. Q. How was the intergenerational piece for you since you also taught the bar/bat mitzvah students together with the adults on Sunday morning? A. That was awesome. They were typical teenagers, but once they got going, they asked great questions. Jan, their teacher, came to me afterwards and said it was phenomenal because after they left, the class got into a really deep discussion. So the kids were listening and they really got it. It worked well. They felt respected and included. I loved having them there. Q. Why should we worry about death? After all, “it will never happen to us.” And why talk about this? It is uncomfortable and scary. A. This question relates to the fact that we are in a death denial society. We’re in a world where youth is praised and aging and dying are ignored or not acknowledged. Young people feel invincible. Unless people are older or touched by dying in some personal way, they are not interested in learning about or even discussing death. One of the beautiful things about Judaism is that we have life cycle events. Everybody knows about brit milah, bar and bat mitzvah, weddings, etc., but they don’t think of death as a life cycle event. But it is. It is just as rich in heritage as the other events are. When we reinvigorate these mitzvot around death, people go “Wow! I didn’t know I had such cool traditions! I didn’t know that honoring the dead could be so beautiful.” We are raising people’s awareness of what they already have and how beautiful it is. And when people learn about these rituals, people say, “I want this for my mom or dad.” When dealing with people in death-denial, we must bring the conversation around to being authentic and recognizing that we are all mortal. If we honor death, we enliven our lives with more beauty, more praise, more dignity, more respect. When people learn about these traditions around death, it changes people’s lives and they treat each other with more respect and have more appreciation of the beauty of being alive. Q. Why don’t people know about the Jewish rituals around death such as taharah and shmira? A. Because in the late 1800s when our forefathers (and foremothers) were running away from pogroms in Europe and settling in America, the last thing they wanted was to stand out. So when the for-profit funeral homes said they would take care of death, Jewish communities said fine. We don’t want to be different. This meant they began to forget about Jewish end-of- life traditions. When synagogues got established, they let the funeral homes take care of death except for the very orthodox communities. Now in the past 50 years, many Jewish communities are re-establishing forgotten Jewish traditions. Kavod V’Nichum has been so successful because there is a great openness and a real awakening in Jewish life to accept these traditions. Q. What is a Chevrah Kadisha and who does this stuff, anyway? A. Many years ago, when death happened, the family took care of the body. With help, the body was moved to the cemetery and then buried. Whenever there was a death, it was known you have to take care of them. In larger communities, teams were established to do this so everybody in the town didn’t have to stop working when somebody died. That group became known as the burial society, the Chevrah Kadisha. Chevrah means a group of friends and Kadisha comes from Kodesh, holy. So this was a dedicated “holy fellowship” especially tasked with taking care of the dead. This concept transferred to America but in a diminished way. These days we use the same procedures to prepare a body for burial, to accompany bodies between death and burial, and to bury the dead. The Chevrah Kadisha is the group of people who do this work. Any Jewish adult can participate in the Chevrah. There are lots of different ways people can get involved other than washing and preparing the body. People can help with organizational needs such as calling people, setting up shmira for people to read psalms between death and burial. Other tasks might be helping with sewing tachrichm, the burial shrouds, preparing food for the meal of consolation and shiva, making caskets, etc. People can also help by serving as the reader of prayers during the taharah and be a part of the team in that way. Q. Why should we care about the Chevrah Kadisha? What’s in it for us? A. Doing something for another person is called kindness and kindness is its own reward. We’re being kind to the dead. On a much deeper level, we are actually helping to “midwife the soul” of the deceased between realms of existence. Q. What does “midwifing the soul” mean? A. Judaism believes we have a spiritual aspect to ourselves besides the physical body called the soul. The Kabbalah talks about different levels of the soul. But simply put, we have this spiritual aspect that departs when we die. And it goes back to God. We don’t know what happens to us when we die, but we do know that the body is a vehicle for this spiritual aspect, the soul, while we are alive. So we treat the body with just as much respect as we do the soul because it is holy. When you are a part of a team that is helping someone move between realms of existence, it’s very special. When we sit down for a glass of wine, it is just a glass of wine. When we say a brachah over that glass of wine on Friday night, we transform that experience and turn it into a sacred event. Similarly, when we go into the taharah room with the intention of helping the soul move between realms, we offer special readings and prayers to assist the soul as it is in transition. By doing that, we get blessed. Until you actually do it, it is hard to describe. When you see the body radiate after taharah, dressed in tachrichim -- the traditional burial shrouds -- and read words from Song of Songs or other readings from the Tanach and you’ve been there with intention, kindness, and respect, you see this huge transformation and feel the gratitude in the room from the soul present. It is quite an experience. Q. What are taharah and shmira? A. Taharah comes from the Hebrew root word tahor which means pure. So taharah means purification. This term is used for the ritual where we wash the deceased physically and spiritually, dress them in tachrichim (shrouds), and put the body in the casket. This term is also used for just the specific portion of the ritual in which we do a spiritual cleansing. The whole ritual is accompanied by liturgy composed of various readings from Tanach. Some readings come from Song of Songs, others from different prophets. It’s a beautiful ceremony that usually has 3 – 5 people helping this deceased. It usually takes about 90 minutes. The team holds a prebriefing meeting before the taharah, and debriefing meeting afterwards for the people involved to make sure they are safe and emotionally cared for. The taharah can be preceded or followed by shmira. Shmira comes from the Hebrew root related to guarding, watching over. A Shomer is a guard. Shomrim are people who are accompanying the soul in transition. They sit in a room near the deceased, and they read psalms or other verses appropriate to that person so they will be comforted and brought joy. We do this from the time of death to the time of burial, with people sitting for 2-3 hours at a time rotating with other shomrim. Q. Why do you participate in these mitzvot? A. In 1996, I had a mystical experience during a taharah training. I thought if a practice could be that powerful, how much more so must be the real thing, so I started a Chevrah Kadisha. Every time I’ve participated in a taharah, it’s been profound and beautiful. I feel like I’m doing something important. I’m helping someone who can never say thank you and I’m giving back to the community in a very special way. Q. So who should participate in this mitzvah and why? A. Everybody who has the opportunity and is physically capable should participate. We have a short time to be here on the earth. What better way to use our time than to help someone move between realms of existence. This is a sacred and holy process and a rare opportunity. Also, participating in death rituals really adds to life. If we can face our own deaths, we are more likely to be authentically living. Rabbi Mel Glazer says that when he walks into the taharah room, he’s doing it for three people: He’s doing it for the deceased on the table, for himself facing death, and for his parents. When we participate in these rituals, we face our own mortality, enriching our lives and allowing ourselves to live more fully. Q. Some of our Jewish community members are planning on cremation or donating their body to our Medical School here in Hawaii. What about taharah for these people? Why should they think about this? A. There are a few things to think about. First, when a person dies, no matter what is going to happen to the body, the soul is in transition and needs all the support it can get. So doing taharah after a person dies is a beautiful thing to do to support them and to help midwife them from this world to the next. There is no reason not to do a taharah for a person who choses cremation, or donation to science, or burial. In all three cases, the soul is moving on. This comes back to policies for your community. In our Chevrah, we will do taharah for cremation or donation to science; however, if a member of the Chevrah feels strongly, each person on the team has the right to refuse to participate under certain conditions. For example, our Orthodox members will not do a taharah for someone choosing cremation. That’s ok. If we have enough people, we will do it. If not, we won’t. It’s that simple. Secondly, Jewish end-of- life rituals are about respect. We are given our body, this holy vehicle, to live our lives. It comes from the earth and the Torah says you should put it back into the earth. So we feel it’s important to treat the body with respect, not only through taharah, but through burial. If people choose not to do that, it’s their choice. We are not to force otherwise. We do encourage burial also because it gives the family a place to visit and remember their loved ones in years ahead. Thirdly, medical science has come a long way. If I can help another person and save another life, Judaism says that is a very high mitzvah. So if I can save lives after I die through organ and tissue donation, it’s wonderful. And we can still do taharah after that. If someone is giving their body to the medical school and the Chevrah doesn’t have access to the body before it’s donated, we can even do taharah in absentia. It’s a little unorthodox, but we honor them by reading various prayers, pouring water symbolically, and lighting a candle, as a way of honoring that person and helping them on their path. You can be creative. In this day and age, our motto is to do the best we can to provide kavod ha met, honoring and respecting the dead. Q. You created the Chevrah Kadisha of Northern New Mexico that bridges six diverse Jewish congregations. How does that work successfully? How does that partnership contribute to the intention and mitzvah of taharah and shmira and serve the greater Jewish community? A. In 2000, six shuls got together under one umbrella: two reform synagogues, Chabad, a modern orthodox synagogue, a conservative shul, and a renewal synagogue. It has worked well for some 17 plus years. When we need members for taharah and shmira, people are called, and they simply show up. forth. But respectful dialogue goes a long way toward a common goal. Q. How can we best educate our Jewish communities here in Hawaii about taharah and shmira? A. Community education is a difficult task because different communities respond differently. Multiple approaches are needed. We have tried evening lectures through the Temple’s continuing education program. We’ve also very successfully held a panel of speakers with a moderator for an evening discussion, and it drew a lot of people. The audience was very engaged. Another approach is to have a rabbi and a Chevrah Kadisha representative talk to each specific Jewish community. A lot depends on how you couch the title of the talk to get people to show up to talk about death. Another approach is to offer courses such as an ongoing study group as a good way to educate and raise awareness. Q. What books have you written about this topic? Why did you write them? A. To Midwife A Soul: Guidelines for Performing Taharah. I wrote this in 1996 because our Chevrah needed a manual. I wrote it for people like us who need to have guidance in the taharah room. We use it in our taharah ritual in our Chevrah Kadisha. Jewish Rites of Death Stories of Beauty and Transformation. I wrote this book to share personal stories from people writing what it feels like to do this holy work of taharah and shmira. It’s intended to be for a blessing, not only to help families but also to help people just getting started in Chevrah work. This is the first book new people should read. Final Kindness: Honoring K’Rovei Yisrael. This book was written for interfaith marriages, when the non-Jew dies. It addresses how to honor the non-Jewish spouse in a Jewish-like way. It doesn’t offend those who are Jewish and honors those who are not. Exploring the Soul of Taharah (with Rabbi Avivah Erlick). This book explores the differences between home taharah and traditional taharah that’s done in a funeral home, how they are different and how they are the same. Q. What do you think is next for our Jewish community on Oahu? A. Your community is awesome and you have a lot of momentum and a lot of heart. You have a lot of people who are well established in the community and identify themselves as part of your community. All you really need to do next is to educate and they will go forth. It’s just a matter of keeping the community inspired. This weekend helped to jumpstart that momentum and get people interested. Q. Our challenge is the inter-congregational piece bridging the different Jewish communities. Do you have any final words of advice for us in creating an inter-congregational Chevrah Kadisha for women and for men here in Hawaii? A. The big thing is showing mutual respect for each other’s differences so that nobody is right and nobody is wrong and everybody agrees that we are in this together. We did this by writing a policy manual that honors what each community needs so each feels respected. From the beginning, get representatives from each Jewish community to put together your policies and guidelines on how you will operate as a Chevrah. These policies are the foundation for the existence of the Chevrah Kadisha and clarify how you are going to honor each other and make sure everybody’s needs are met. Tom Barrett is Temple Emanu-El’s Family Promise chair, taking over from Jean Trapido-Rosenthal six months ago. He works collaboratively with volunteers from the other Jewish congregations on Oahu, Sof Ma’arav and Oahu Jewish Ohana. While other denominations also participate with Family Promise, the Jewish community as a whole counts on Temple Emanu-El, since we have the facilities to house and feed the families for the required volunteer week. Living in Paradise often doesn’t feel all that blissful when you’ve got kids in school, a low paying job, and can’t afford a place to live. Some families make do by living with relatives or even friends. But when even that is not available, then what? Society has mixed feelings about people who are homeless. One of the difficulties in addressing the issue is that there are different causes related to different life circumstances for each individual and family. 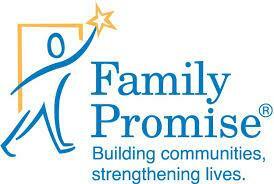 Family Promise serves families who are working but have not been able to find a place to call home. The concept behind Family Promise (a national non-profit with a presence in Hawaii since 2006) is ingenious. They utilize already existing resources and volunteers. Religious congregations provide space in their buildings to serve as temporary housing and to afford participating families breakfast and dinner. The families cannot remain in the host facility (the Temple in this case) during the day. They leave after breakfast and return in the evening. Family Promise operates a day center where families can take showers, receive case management, get child care, and look for housing. Families without a vehicle can use the organization’s van for transportation from the host congregations to the day center and back. With volunteers giving their time, making meals, and sharing hospitality, family homelessness is addressed without the creation of expensive shelters. This approach keeps families together while partnering with the community. The approach results in a 75% success rate in getting families into housing and out of their homelessness. Tom’s role as coordinator includes keeping track of the calendar of hosting sessions for Temple Emanu-El, sending recruiting email to people who’ve expressed interest, scheduling the volunteers, and working closely with the different hosting coordinators. usually during dinner, to make sure everything is running smoothly. Tom and the Family Promise volunteers are welcoming new volunteers who wish to give back in an important and personal way. For example, the set up and take down requires 5 – 6 people, takes about an hour, and there is no heavy lifting (air mattresses are used). There are opportunities for people who like to cook to use their skills to help feed the families. Tom wanted to acknowledge three invaluable people on the Temple staff: Richard Field, Stephanie DeMello, and Jack Ning, our caretaker. Richard is in charge of the physical plant, room assignments and changes. Typically, each family has a separate room upstairs in the Weinberg Center. Sometimes the downstairs classrooms are also fitted with partitions for housing four families. We are so blessed to have so many interesting, talented people as members of the congregation of Temple Emanu-El. The Seniors’ year began with Herb Latner recounting tales of the Jewish Theater on Second Avenue in New York City. Herb was a child actor in that group and met many of the stars of the Jewish theater. October brought us David Haymer, who has brought us many different topics throughout the years. This time his topic was The Innocence Project. This is an amazing program in which many people who been incarcerated have been found innocent and able to regain their freedom. Hopefully David will return at a later date with more about this program. Bob Sigall of the Star-Advertiser was our scheduled speaker for November, but was unable to attend due to illness. Luckily Herb Latner stepped in and this time regaled us with Jewish music. The highlight of the program was his daughter Janet singing one of the songs. Herb said she was good, but there really are no words to describe how good she is. December brought us our annual Hanukkah party with the GAN students serenading us and Rabbi Ken entertaining us with songs of the holiday. Thanks to Sisterhood we enjoyed a wonderful lunch of latkes, sour cream, applesauce and chicken. We hope you will be able to join us throughout 2018 for a variety of interesting programs. Dede Guss is the Temple Emanu-El shopkeeper, a role she undertakes proudly because the Chai Boutique provides an important service to the Temple and the entire Jewish community. The shop is, literally, filled with treasures from near and far. Among them, you will find elegant glassware hand made in Israel, Hawaiian fabric kippahs, and, of course, the Temple’s popular Shaloha t-shirts in multiple colors and sizes for people of all ages. Q. How old is the boutique? When was it installed? A. Well, I have been active in the Temple for more than 35 years and it has always been there serving our community. Q. We remember reading something about the boutique being remodeled at one point. Do you have any information about when that happened and who spearheaded it? Q. How are items selected? If people want to make suggestions about items, could they? How would they do that? A. We select items based on demand and what sells best. There are the traditional Judaica items such as Seder plates, menorahs, candle sticks and kippahs which are the most popular. We round out our selection with specialty items like our Hawaiian kippahs, challah covers, pot holders, aprons, and our best selling Shaloha t-Shirts. We welcome suggestions. The easiest way would be to leave word with Stephanie in the office. Q. What is the price range? A. The prices of our items range from $4 to $100. There is something for every budget. Q. What are the hours? Is there a way for people to purchase items outside of the regular hours? A. The shop is open Friday evenings before and after the Shabbat services and also on Sundays when the school is in session. During the week, customers can drop by during Temple office hours and be assisted by Richard or Stephanie. Q. When did you become the "shopkeeper"? Do you have others who help? A. I have been involved for over seven years, about the same time that I initiated the remodeling of the Boutique. I have a strong supportive group of Sisterhood members who assist with all aspects of running the Chai Boutique. Q . We know you and your Sisterhood members are all volunteers. Where do the proceeds go? Is there a particular fund that the Chai Boutique supports or does it go into a general fund? A. The Sisterhood uses the proceeds to support the School of Jewish Studies, the Gan Preschool and other Temple needs as they arise. Q. The chai in the name means life or living in Hebrew. Is there any particular significance to the name for the boutique other than it being so iconic in our tradition? A. Deborah Washofsky and I named it the Chai Boutique as it is a fitting name for a place that celebrates life! Q. Thank you for taking the time for this interview. A. My pleasure. I invite everyone to come visit the Chai boutique when you need a wedding, birthday, house warming, thank you, or any other kind of gift. Your business helps Temple Emanu-El and we can all appreciate the value in that.